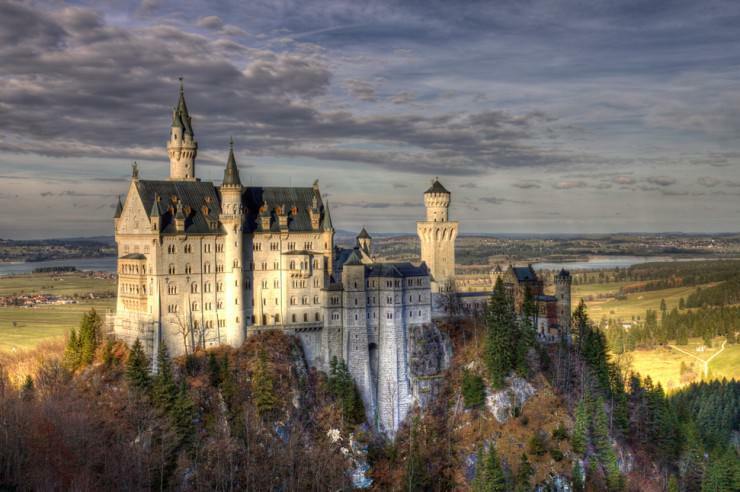 Germany has an abundance of historic castles, scattered all around the country. 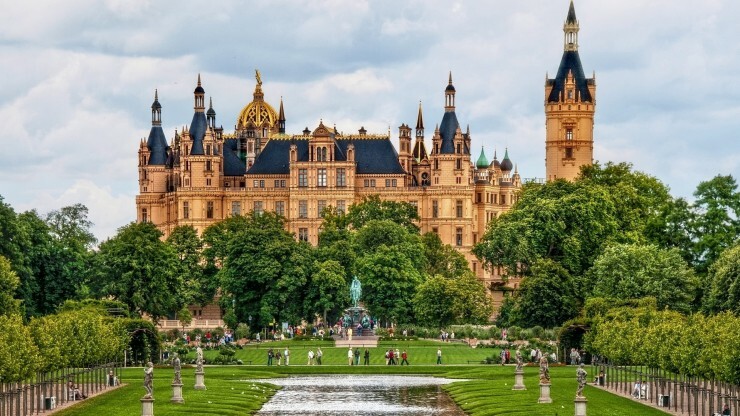 Whether found in the Bavarian mountains or on a lake’s island in Mecklenburg-Vorpommern, one can expect a gorgeous landscape that comes along with the monument. Check out our ten choices. 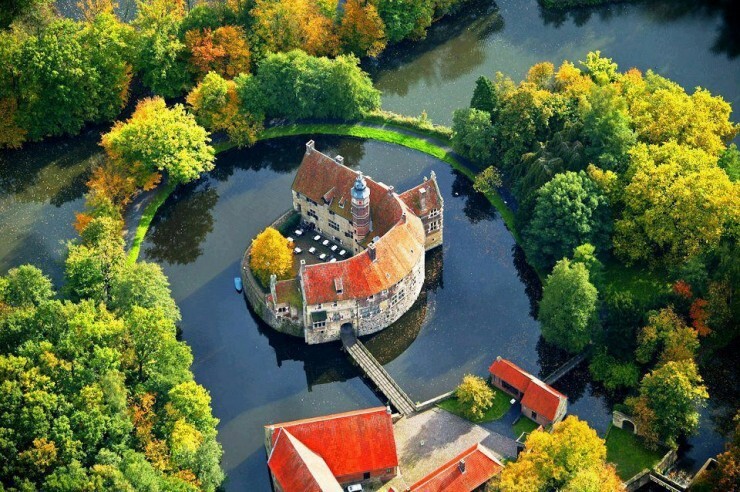 The building is a beautiful moat castle example – it stands in the middle of a deep ditch, filled with water. 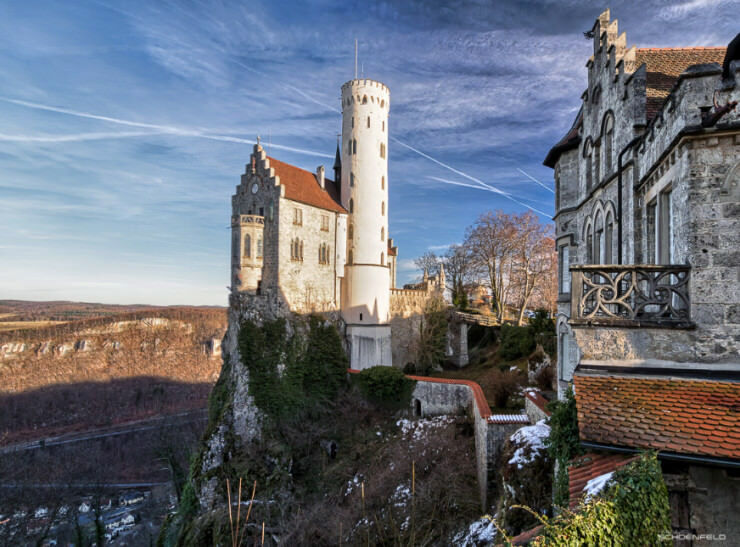 It was built by an order of Bishop Gerhard von der Mark in 1271. 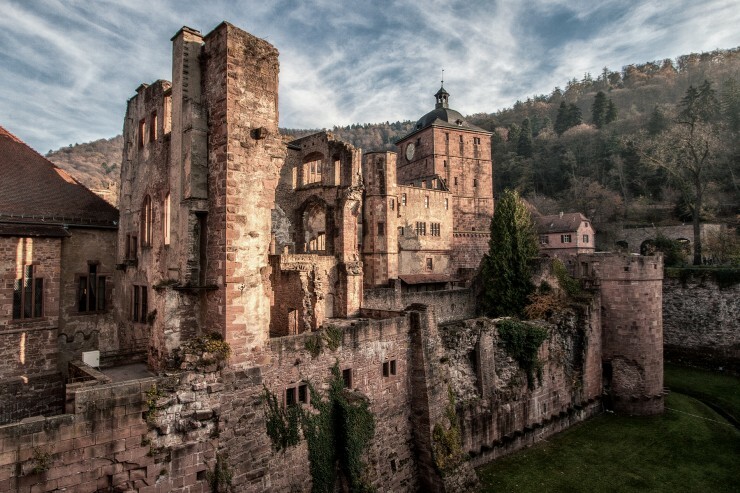 The ensemble includes a sandstone castle and a chapel. The trees grow around the ditch, adding a beautiful aura to the landscape. Today a museum and a restaurant are open to visitors, who are welcome to explore this unique architectural wonder. 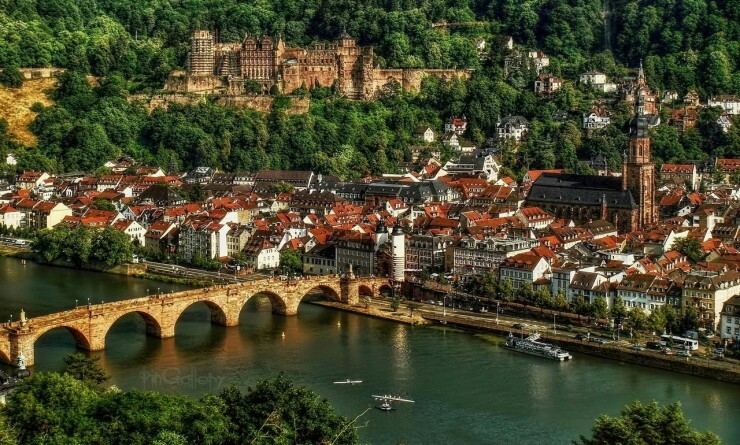 The beautiful Medieval town is worth visiting on its own. Meanwhile, the ruins of the famous Renaissance castle is posited on the top of the hill, overlooking the town. 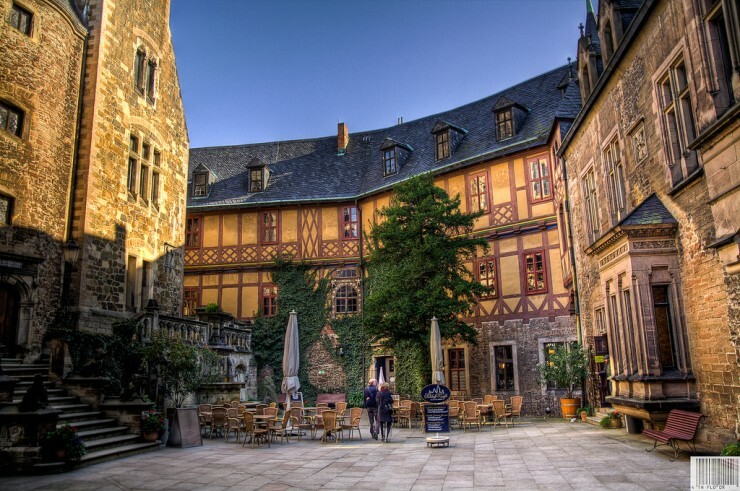 Originally it was built in the 13th century but destroyed during the Thirty Years War. 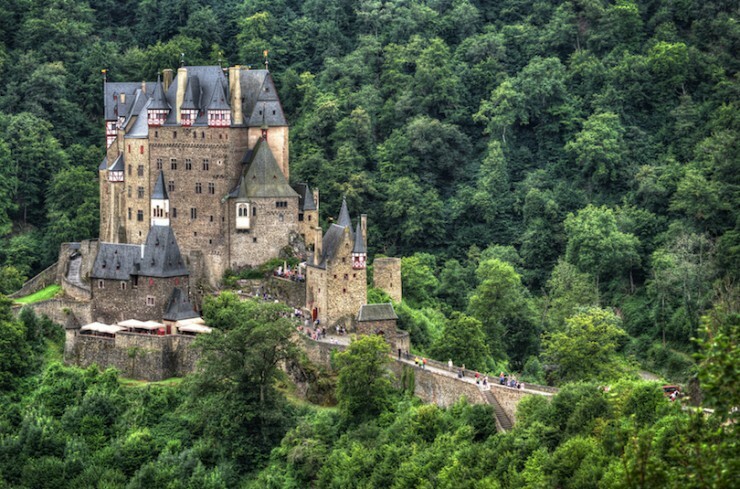 The restored castle was struck by lightning in the 18th century and later was not rebuild. Although not as full as other palaces, it has its own charm: various styles, adopted through the centuries while rebuilding it, are evident in the complex. 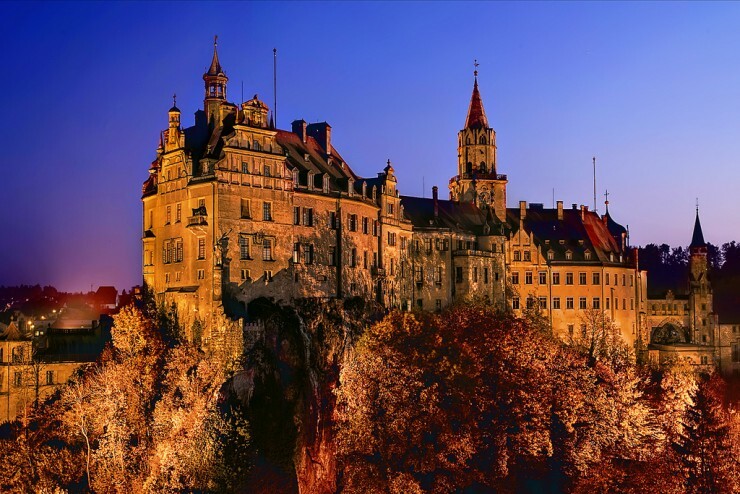 The castle served as the seat for the Princes of Hohenzollern-Sigmaringen, that ruled from the 16th to the 19th centuries. 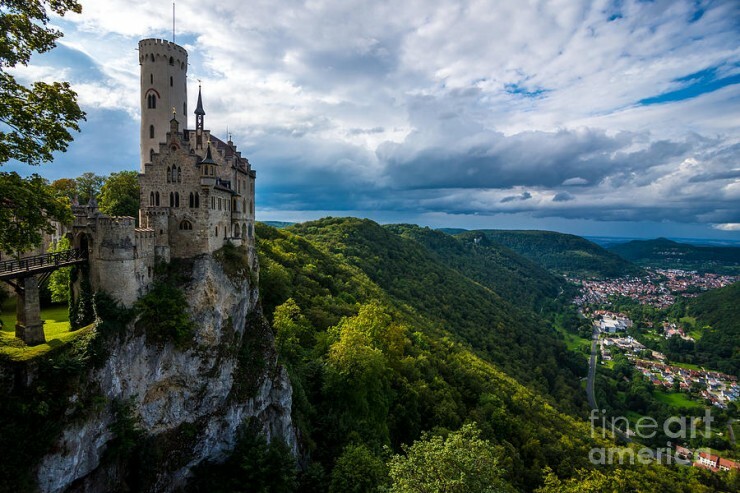 The first castle was mentioned in the 11th century already! Later it was expanded and rebuild. 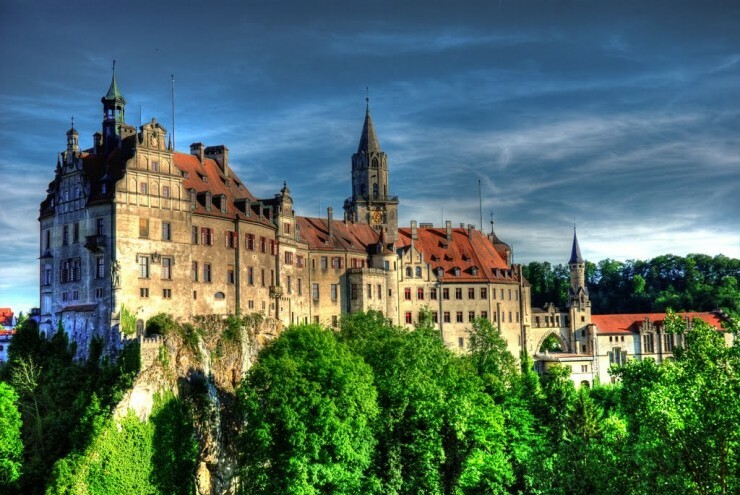 Today it dominates the cityscape of Sigmaringen. 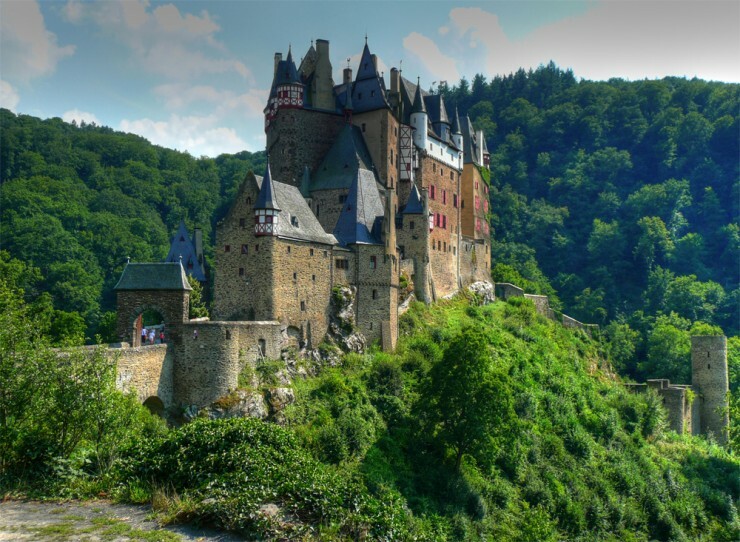 One of the oldest castles provides an insight into a number historic eras, evident in its architecture. 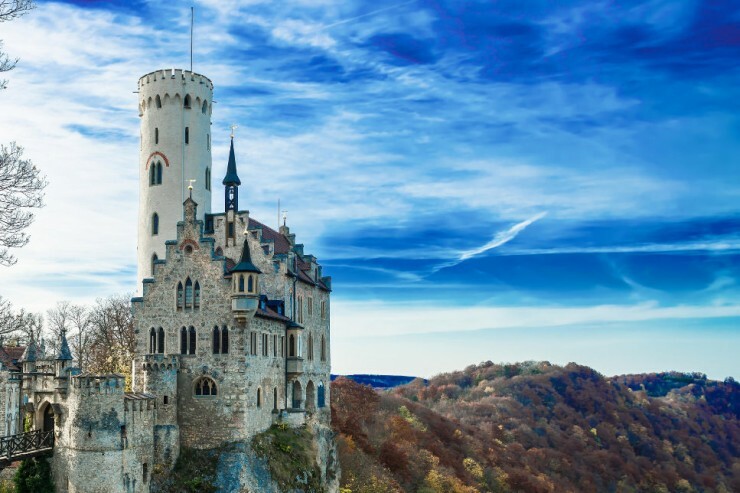 The castle is situated on a cliff in the beautiful Swabian Alps. The first castle here was built in the 13th century. 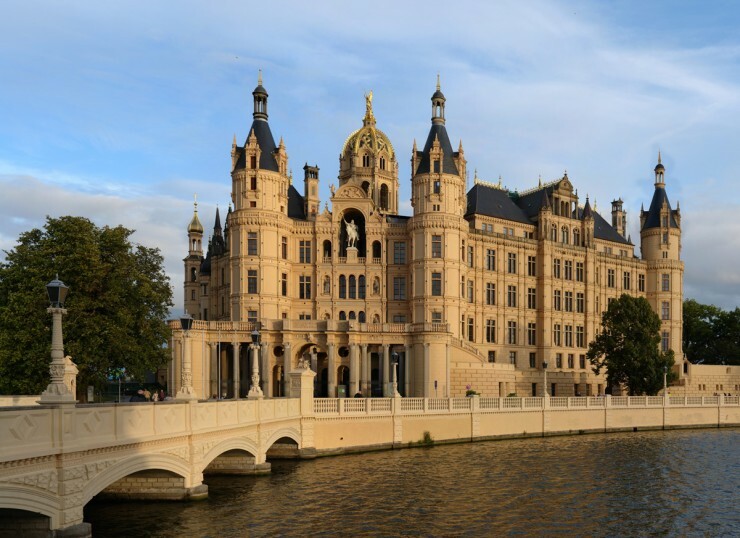 The present palace is a 19th century compound of a hunting lodge of King Frederick I of Württemberg and his nephew’s castle. The latter was inspired by eponymous Wilhelm Hauff’s novel “Lichtenstein”. On the guided tours visitors can explore palatial rooms, filled with Medieval paintings, armory, murals and stained glass. The castle is fully furnished, featuring original Medieval furniture. 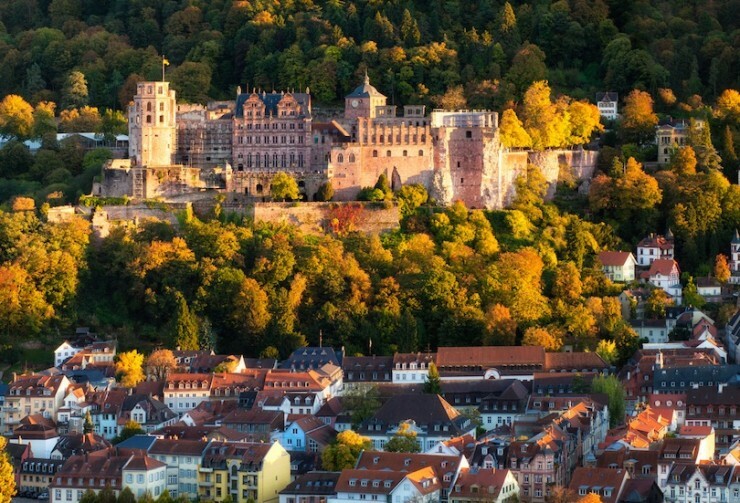 Needless to say, amazing panoramic views of the Swabian mountains open from the castle. 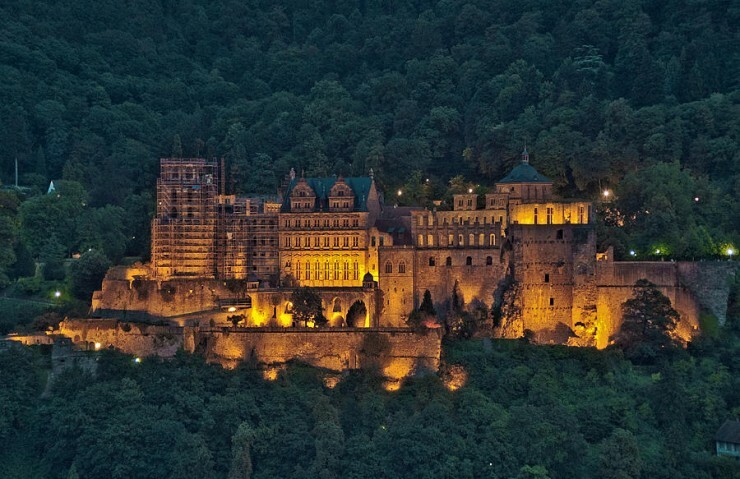 The castle is found in the staggering surroundings: on the hill surrounded by thick forests, next to the Moselle River. 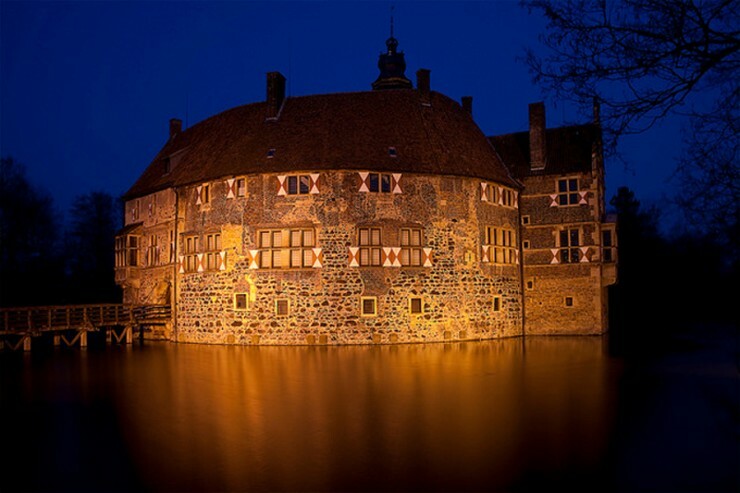 It was erected in the 12th century and still houses some of the original furniture! It is also owned by the very same founding family, which extends to 33 generations. 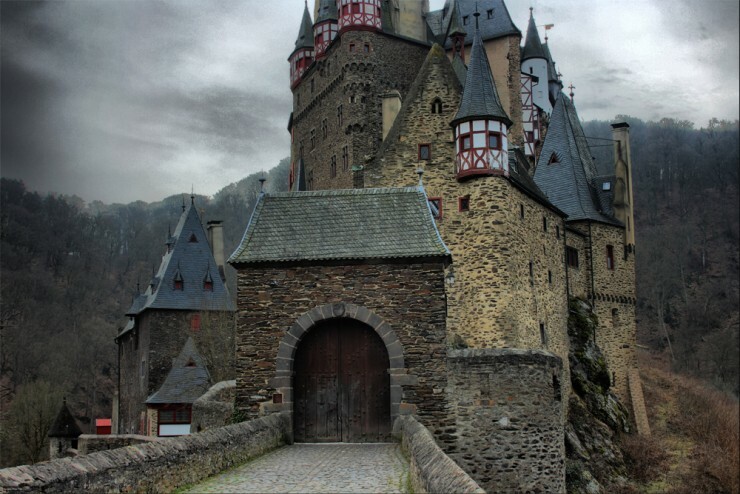 It hasn’t been destroyed by tumultuous wars, therefore its Medieval architecture is very well preserved. 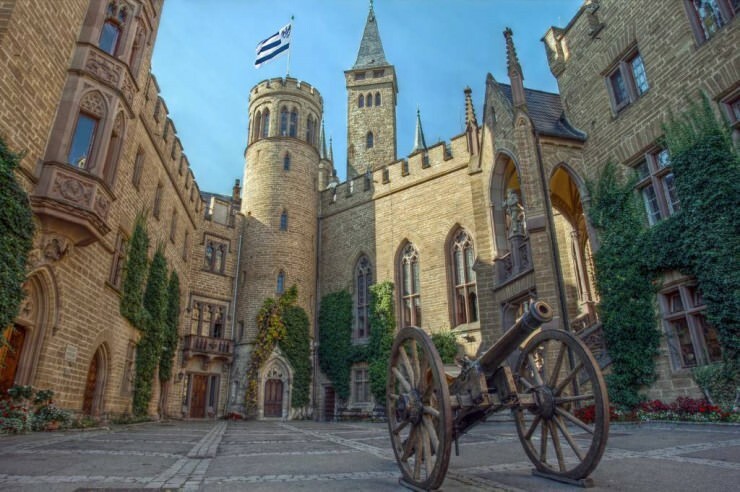 Besides being a striking beauty itself, the castle has a gallery of an extensive collection, which features incredible decorated armory, porcelain, and jewelry. 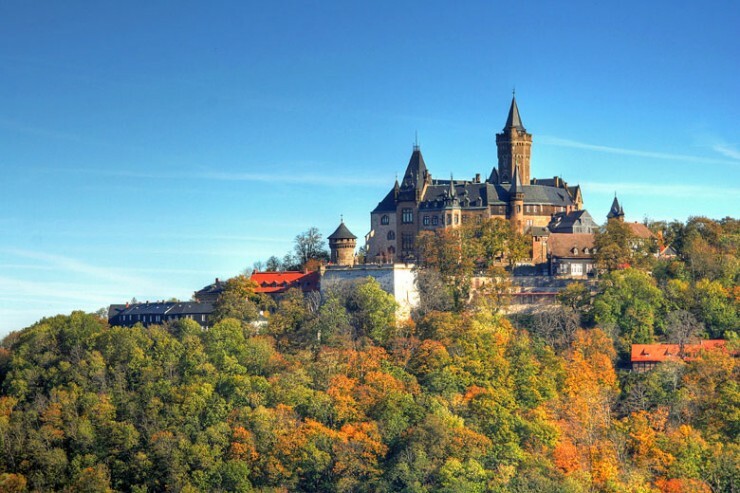 The castle overlooks the eponymous town from the top of the Harz mountains. It is a relatively young building, finished in the 19th century, therefore Romantic style is recognizable in its architecture. The monument is one of the most popular tourist attractions in Saxony-Anhalt. The visitors can admire the building as well as museum inside. 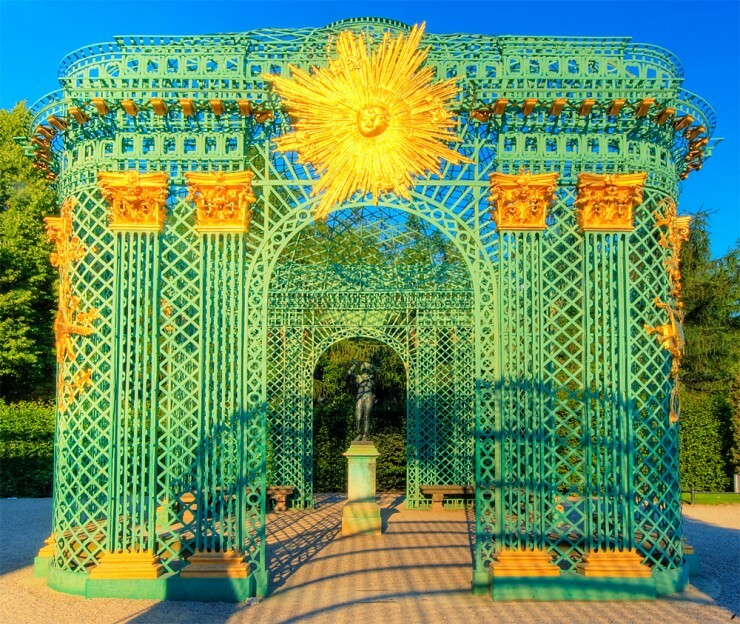 The garden’s beside the palace are also very famous for their impeccable style. 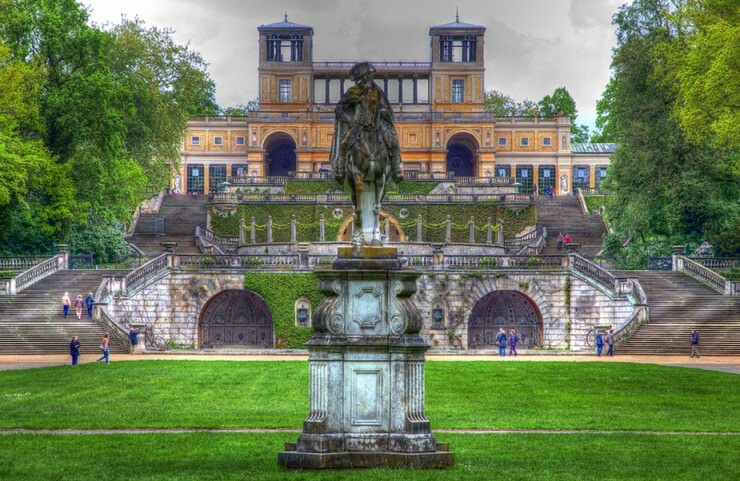 The complex was built by a commission of Frederick the Great of Prussia as his summer palace. 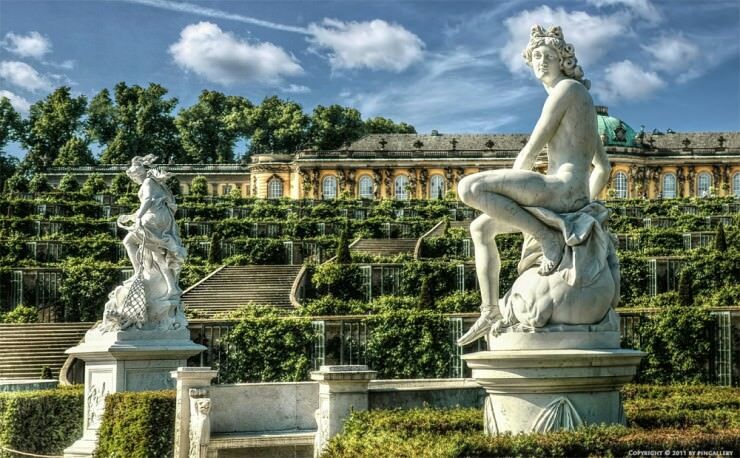 The rococo palace is absolutely magnificent: the statues of Roman emperors, a Chinese teahouse, golden elements, terraced gardens, baroque flower gardens today are open for a public to see. 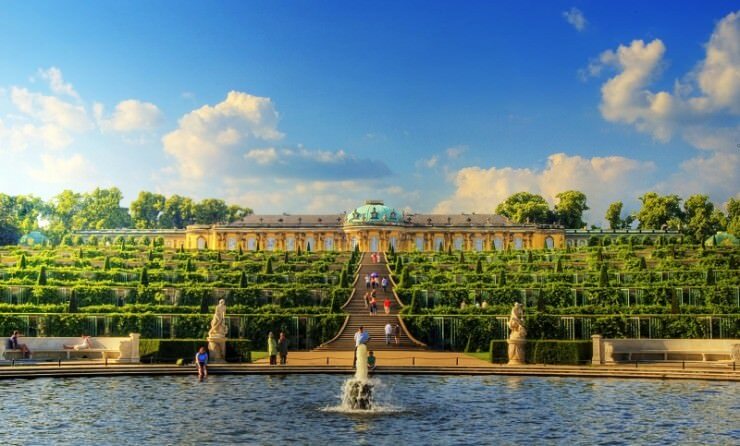 You can admire the historic palace and also have a very romantic walk in the park and gardens around it. 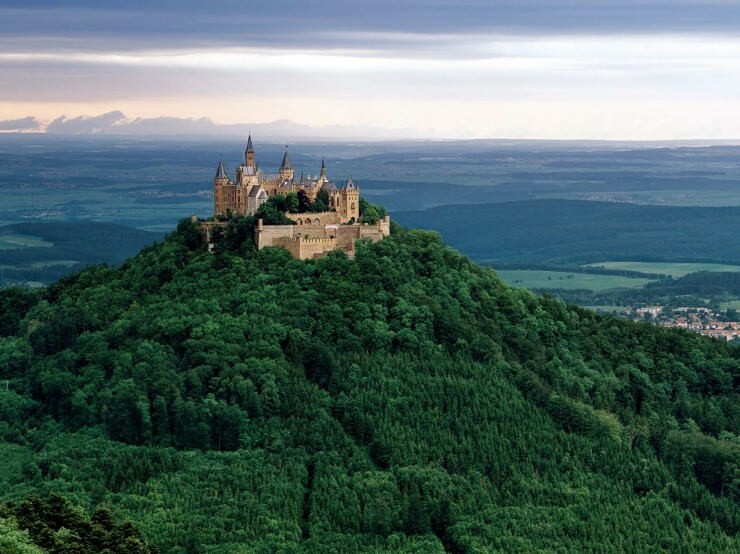 Built on the Mount Hohenzollern, 855 m above sea level, the castle is one of the most beautiful in the country. 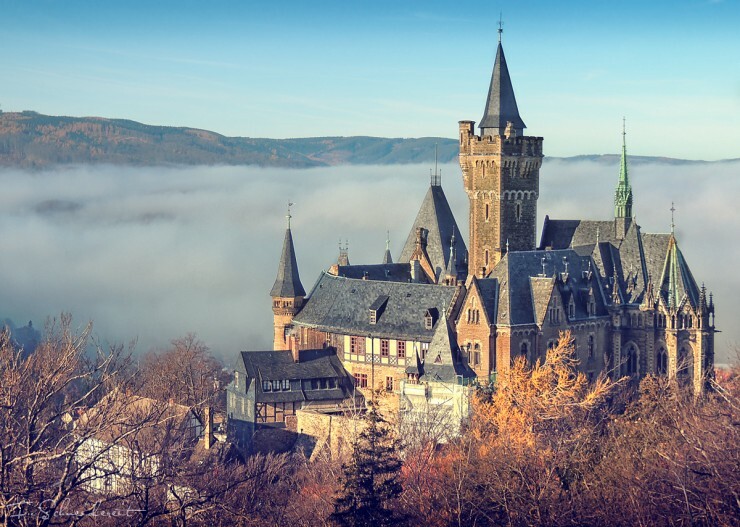 Just as the name suggests, the castle once was the ancestral seat of the Hohenzollerns, who emerged in the Medieval era later to become the emperors of Germany. 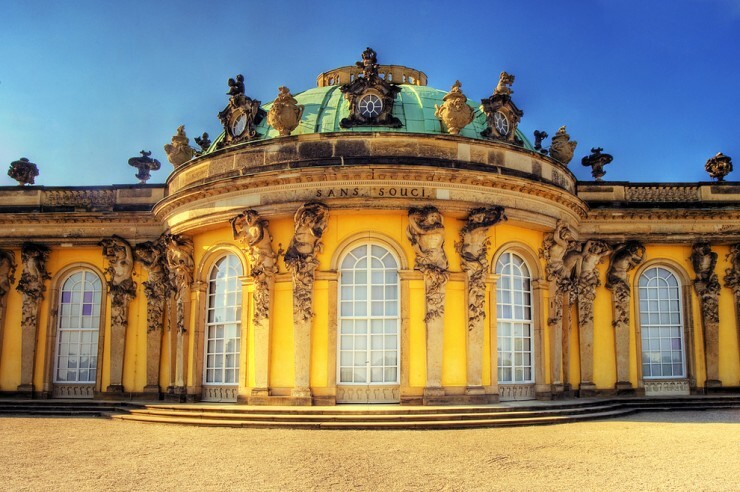 In the 19th century, King Frederick William IV of Prussia took over and rebuild the destroyed palace. 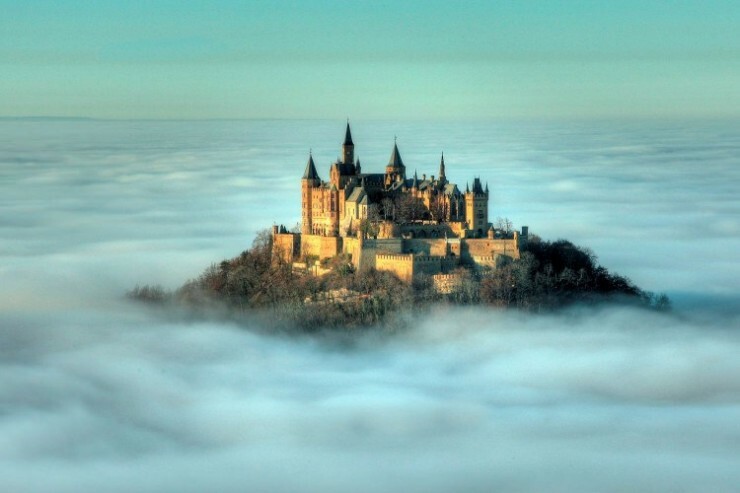 Today the castle is a popular tourist destination. Besides the amazing scenery and historic architecture, the visitors get to explore the luxurious interiors and a museum. Its collection features such exhibits like a letter from George Washington and various artifacts of Prussian history. 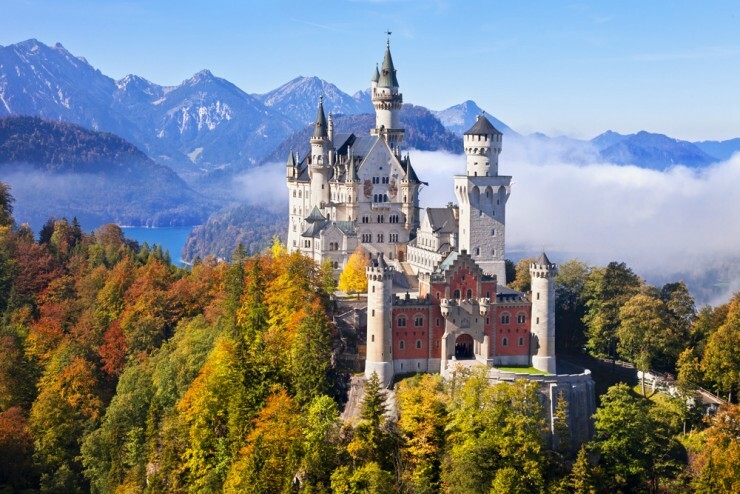 The glorious and most famous European castle is a jewel of Bavaria. 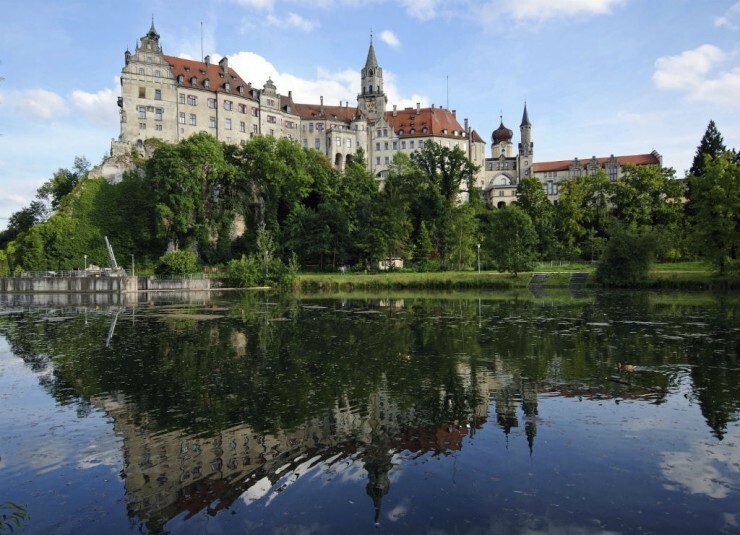 It was built in the 19th century by the personal fortune of Ludwig II of Bavaria. 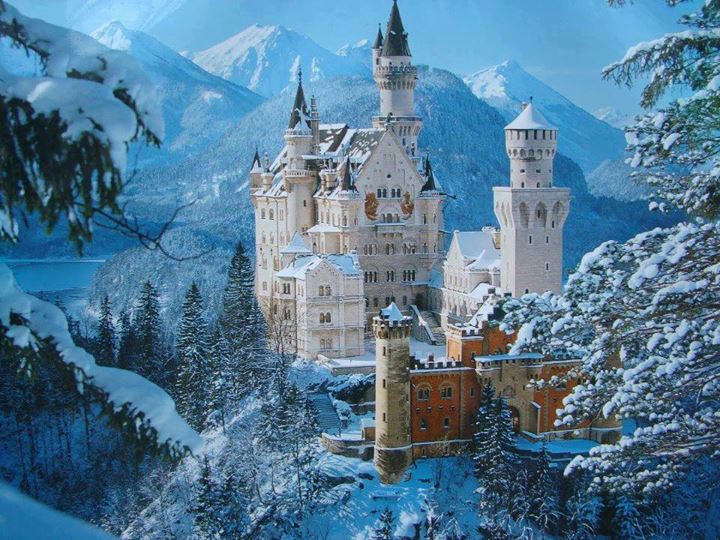 The castle looks like from a fairytale from the inside out! The Neo-Romanesque palace’s interior design often adopts the themes and characters from Wagner’s operas. 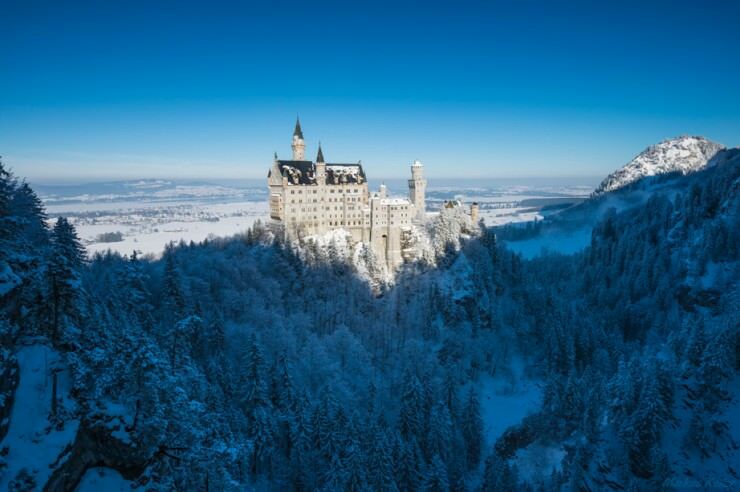 And the landscape is breathtaking: situated in the Bavarian Alps, the amazing panorama of the Alps and Hohenschwangau valley opens from the palace. 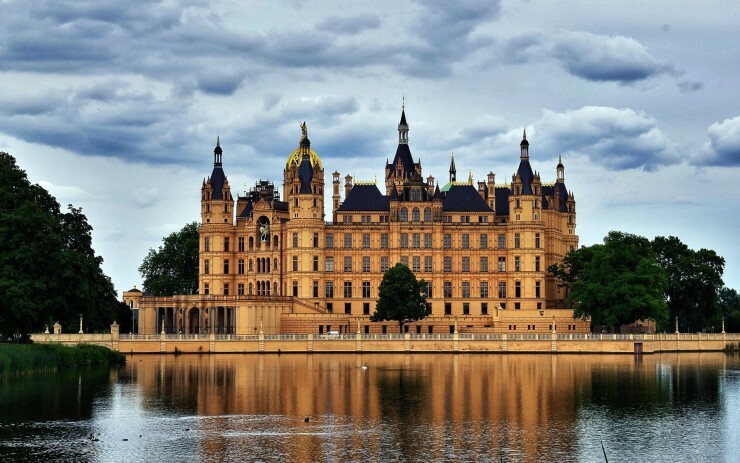 The palace has become the main German attraction and the most recognizable structure in the world. 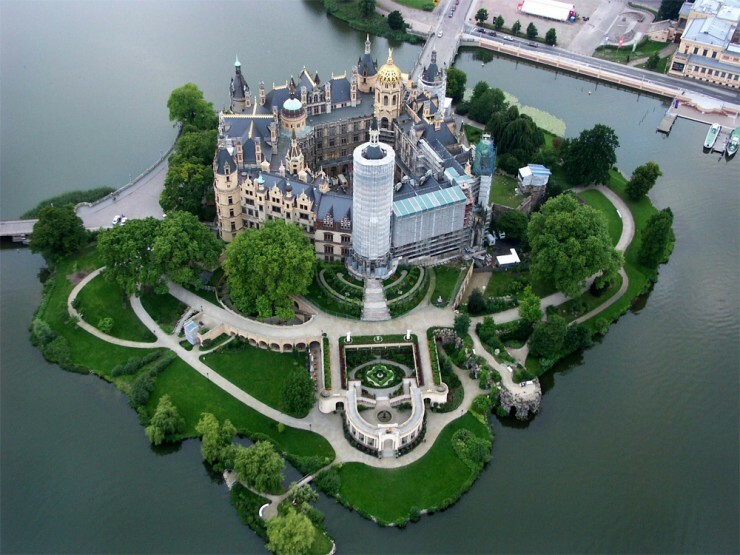 The exquisite edifice is situated in a wonderful location – on an island in the lake. 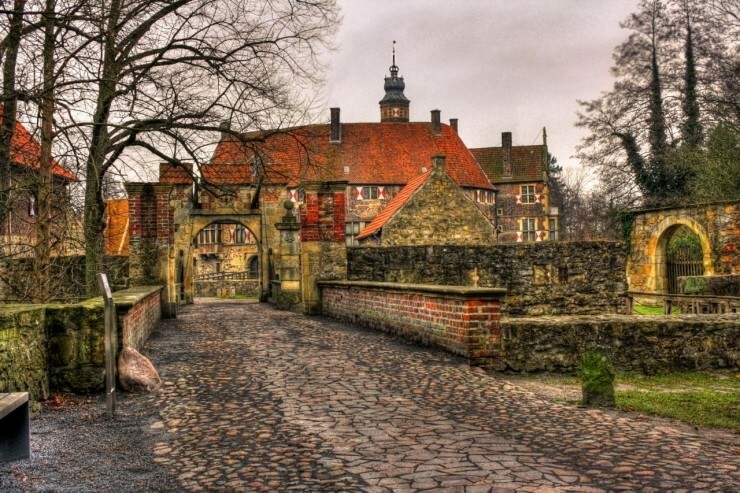 It was the home of the grand dukes of Mecklenburg and is mentioned in the documents in the 10th century already! Today it serves as a museum, open for the visitors to views, as well as the local government building. The palace is a truly magnificent architectural achievement. 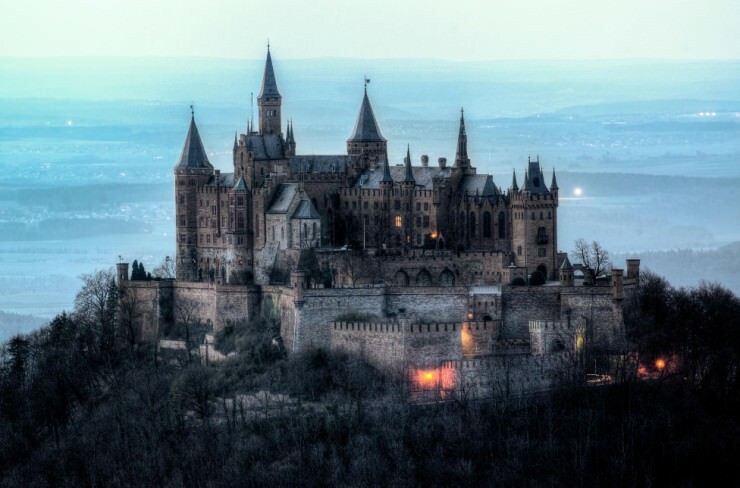 It also has a ghost, so fearless visitors can enjoy themselves and try to meet it.